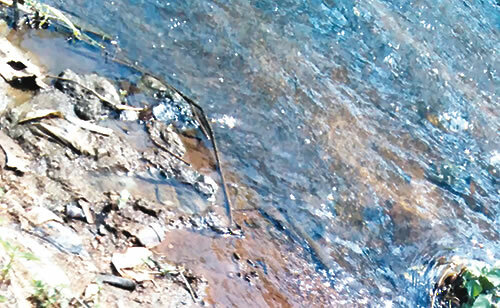 There was confusion in the Ibu Amon area of Osogbo, the Osun State capital, on Friday when residents of the area found a newborn baby which was dump close to the Osun River. Our correspondent gathered from residents of the area that the baby was dumped on Thursday, but was found dead on Friday near the Osun River. Olayiwola said the residents alerted the Nigeria Security and Civil Defence Corps to their discovery and officials of the agency went to the scene to remove it. He said, “I was informed by some residents that a newborn baby was dumped close to the river. They said the baby was dead. I went there and saw the dead baby. We informed the NSCDC and the agency sent some of its officials to the scene. “The baby was dead and swollen before that time. It had started decomposing. Another resident, David Adedeji, said the mother of the baby might have dumped it there because of the harsh economic condition or because he was unwanted. The Public Relations Officer of the NSCDC, Mr. Afolabi Babawale, decried the fate that befell the baby. The NSCDC PRO said, “When some residents raised the alarm that a day old baby was dumped by the riverside, our men on patrol duty went straight to the place. “I have called the authorities at the local government area, as well as some environmental officials who will do the needful. It will be recalled that a toddler was recently found dead inside the Osun River not far from where the dead newborn baby was dumped.